You will realize that this is actually a section in a new book, which is not published yet. I'm still working on the revision, so again, please do not share the link on social media before we officially announce it in the RStudio blog. If you find any issues related to the PowerPoint format, you may report them here or file them to the rmarkdown repo: https://github.com/rstudio/rmarkdown/issues. 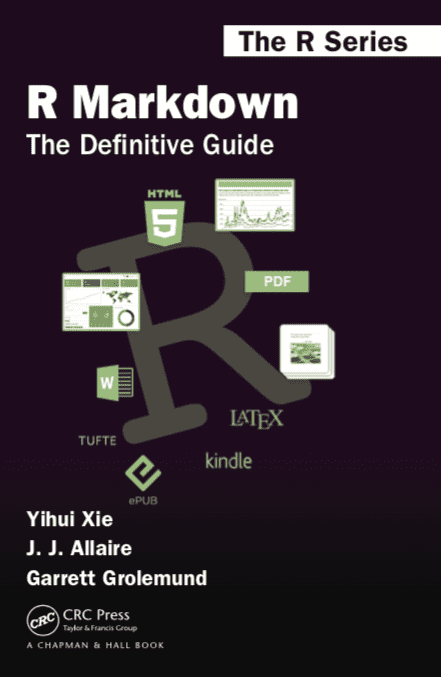 If you have any suggestions or feedback on the new R Markdown book, we'd also love to hear them (feel free to file issues at https://github.com/rstudio/rmarkdown-book/issues). Thank you! How to format R Markdown output to pptx with Pandoc? I stumbled upon this book a couple of weeks ago, and I am so excited and appreciative to have it as a resource! I just discovered a very interesting package named slidex and developed by @DJAnderson07, which goes the opposite way: https://github.com/datalorax/slidex. It converts PPT to Markdown (specifically, the Markdown flavor of remark.js/xaringan). I just want to share it here since it sounds so amazing to me! Thanks so much for sharing @yihui! I would love any feedback anybody has to offer, and I'm certainly interested in collaborators if there's any interest in helping develop the package. comment in this thread including a proper MRE? create a new question on this community, with the R Markdown tag? create an issue on GitHub? I could have just created an issue on GitHub, but maybe the behavior is intended: for example, you're not going to support setting fig.width and fig.height for the first release. In this case, I'd feel bad about increasing the number of open issues in the project, for something which is actually behaving as you intended. Please feel free to post a MRE anywhere. Options fig.height and fig.width definitely should work for PPT.